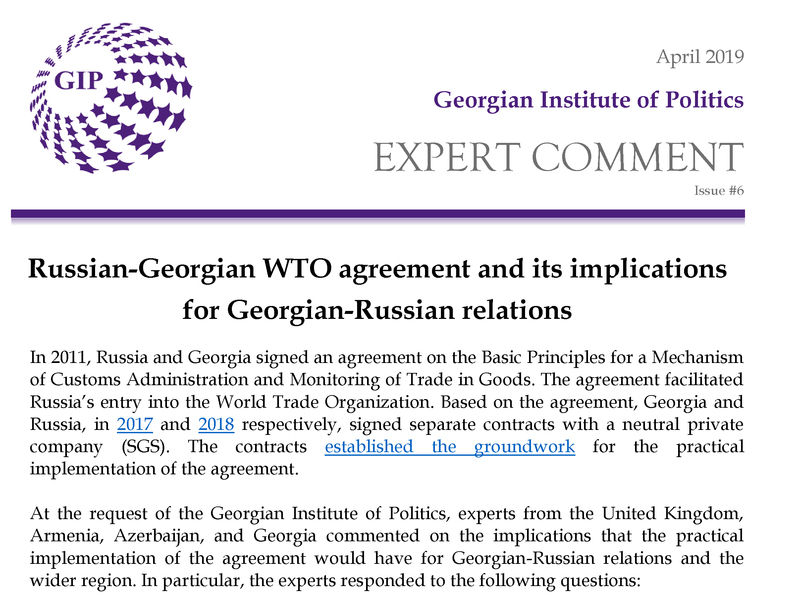 In 2011, Russia and Georgia signed an agreement on the Basic Principles for a Mechanism of Customs Administration and Monitoring of Trade in Goods. The agreement facilitated Russia’s entry into the World Trade Organization. Based on the agreement, Georgia and Russia, in 2017 and 2018 respectively, signed separate contracts with a neutral private company (SGS). The contracts established the groundwork for the practical implementation of the agreement. 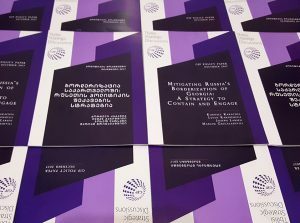 • What are the implications for Georgian-Russian relations? • What will be the implication for the wider region? • What possible obstacles that could impede the implementation of the agreement? • How would the stakeholders benefit if the agreement is implemented?